Small sweet red cherry, ideal for hanging baskets. 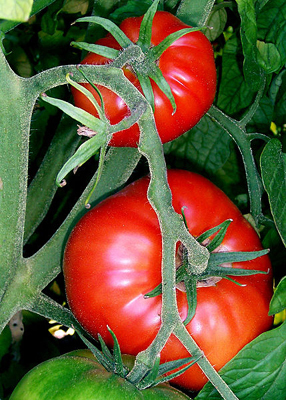 Tumbler tomatoes are “Determinate” meaning: tomatoes are bush type plants and can be grown in containers. They will produce an abundance of fruit all at once.